3000000 Dear Visitor, if you need manual or (and) parts catalog for GROVE / GMK Crane write to brovertek@gmail.com. Please specify the crane model. We'll check our possibilities and inform you in any case. 3000001 5220 GROVE/GMK 5220. Operation and maintenance manual. Parts manual. Service and repair manual. 3000002 RT-540-40T GROVE/GMK RT-540-40T. Operation and maintenance manual. Parts manual. Service and repair manual. 3000003 TM-S-300-5 GROVE/GMK TM-S-300-5. Operation and maintenance manual. Parts manual. Service and repair manual. 3000004 GMK-3055 GROVE/GMK 3055. All-Terrain Crane. Free download. 3000005 GMK-5130-2 GROVE/GMK 5130-2. All-Terrain Crane. Free download. 3000006 GMK-5175 GROVE/GMK 5175. All Terrain Hydraulic Crane. Free download. 3000007 GMK-5275 GROVE/GMK GMK-5275. 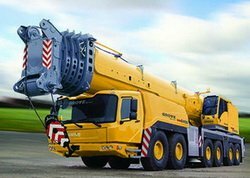 All Terrain Hydraulic Crane. Free download. 3000008 GMK-6300 GROVE/GMK 6300. All Terrain Hydraulic Crane. Free download. 3000009 GMK-6400 GROVE/GMK 6400. All Terrain Hydraulic Crane. Free download.